Natalie Babbitt (nee Natalie Moore) was born and grew up in Ohio. She decided in the fourth grade that she wanted to be a children’s book illustrator someday, and never changed her mind. When the time came—after college; marriage to Samuel Fisher Babbitt; and the birth and launching into school of their three children, Chris, Tom and Lucy—she asked Sam to write for her to illustrate. This he did, in two hours and with great success, and she made the pictures. The book, The Forty-Ninth Magician, was sold to a young editor at Pantheon named Michael di Capua. But Sam didn’t want to go on writing books for kids—he was an academic with his own career to pursue, and so Natalie had to start doing her own writing. Natalie Babbitt is the acclaimed author of the contemporary children’s classic Tuck Everlasting, which was made into a film and a Broadway musical. She has written a number of novels for children, including the ever-popular Kneeknock Rise, a winner of the Newbery Honor Medal; The Search for Delicious; and The Devil’s Storybook. She has illustrated her own picture books, as well as collections of poetry by Valerie Worth. 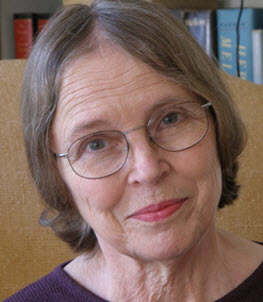 Natalie Babbitt is a member of the Honorary Board of the NCBLA.